Bitcoin mining giant Bitmain has denied widely circulated reports that its co-CEO, Jihan Wu, has been ousted from the board of BitMain Technologies Holding Company, the entity currently seeking to go public on the Hong Kong Stock Exchange (HKEX). The news first emerged on a Chinese cryptocurrency media site on Monday, which suggested that Wu and several other executive directors had left their positions at a different entity, Beijing Bitmain Technology Limited. 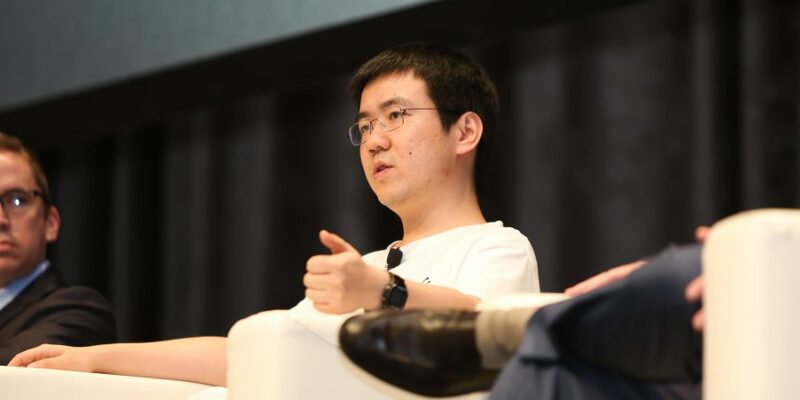 The report further cited a lawyer, not affiliated to Bitmain, who said the change meant Wu would no longer have executive power over Bitmain’s operations. However, the report did not state clearly whether that comment was referring to Beijing Bitmain Technology or the holding company. Various media reports have subsequently cited the news and alleged that Wu is no longer at the board of the holding company and hence has no voting power on the firm’s management. Based on a Chinese business registration database, Beijing Bitmain Technology did record board changes on Nov. 7. The structure reshuffle at the Beijing subsidiary shows that Ketuan “Micree” Zhan, who previously served as the chairman of the board, has now become an executive director of the subsidiary. At the same time, Wu’s role has changed from board director to supervisor, while other directors including Zhaofeng Zhao and Yuesheng Ge are no longer on the list of board directors, as per the database. Based on Bitmain’s draft IPO prospectus, there are currently seven members of the holding company board. Zhan and Wu both serve as co-founder, executive director, co-chairman and co-chief executive officer. Ge and Luyao Liu both serve as executive directors. Based on Bitmain’s draft IPO prospectus, for now, both Zhan and Wu seem to be far from losing any voting power, as claimed in some reports. The holding company adopted weighted voting rights (WVR) – a dual-share structure – after WVR was given the green light by the HKEX in April following a years-long debate on the issue. Currently, Zhan and Wu hold about 3.9 billion and 2.2 billion Class B shares, respectively, although the firm has yet to indicate what percentages those amounts represent of the company’s entire Class B share ownership. The HKEX had long adhered to a “one share, one vote” approach, a policy that prompted Chinese internet giant Alibaba to choose the New York Stock Exchange over Hong Kong when it went public in 2014. The Hong Kong exchange later altered the rule in a bid to attract more technology startups, as the dual-share structure is popular among major international tech firms such as Facebook and Google. BitMain is the fourth company to have adopted the WVR approach for an IPO since the HKEX changed the rule in April.